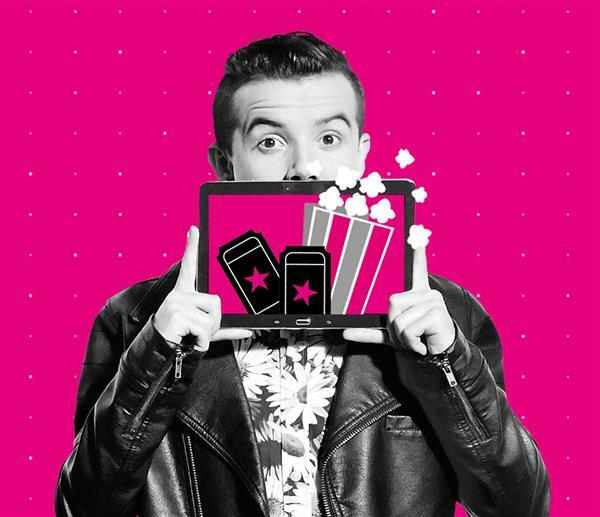 Next week’s T-Mobile Tuesdays gifts and prizes have been revealed, and there’s a big focus on movies. For the January 10 edition of T-Mobile Tuesdays, T-Mo customers can get a free three-month subscription to IndieFlix. This service is focused on independent films, offering more than 8,000 indie comedies, documentaries, dramas, animations, shorts, and classic TV. Also available to T-Mobile customers next Tuesday is a $2 movie ticket from Fandango. This offer is valid on Tuesday only. Finally, T-Mobile customers can get a free eBook from BookShout, with 10 options available. The winner of next week’s grand prize will receive a trip for two to the Sundance Film Festival in Park City, Utah. This two-night trip will take place between January 27 and January 29 and include round trip airfare to Salt Lake City, a shuttle to Park City, two nights in a hotel, 10 tickets to attend movie screenings, one lunch or dinner with the CEO of IndieFlix, and a check for $1,500 to cover taxes or other expenses. The grand prize also includes a lifetime subscription to IndieFlix. Twenty-five first prize winners will each receive a lifetime subscription to Indieflix. Three hundred second prize winners will each get a 12-month subscription to IndieFlix. Park City is right in my backyard! Just know you’ll lose Tmo LTE service in the canyon between SLC and PC. I’m surprised they haven’t filled that gap yet. has anyone had trouble trying to pick up fandango tickets after the posted showtime, like being a little late, and getting an error message at the kiosk? i wound up printing the tickets using the original links in my email; we’ll see what happens. I wish it was a free eBook from Amazon. The Kindle is the most popular eReader and Amazon’s platform has the most eBook readers of any other service. That is the whole reason behind it NOT being Amazon. These other providers want to get their name out their and get people into their ecosystem. The same with Vudu & FandangoNOW. I can understand that. Good point! I stay with Amazon because of the Kindle Paperwhite and the millions of ebooks available with the Kindle Unlimited service. It’s good for other services to challenge Amazon. Thanks. VUDU is very popular…. long before T-Mobile Tuesday…. VUDU is a Walmart service. People who were not tech savvy, and did nit watch online movies may not have been aware of it,,, But i was aware of VUDU when it first started…. most may think VUDU is a new service, but actually it isnt. umm, i was just providing random information, sorry. Wow, just when i thought you were Nobody Special, you prove us all wrong. As it stands, I like Vudu/FandangoNow better. I can rent a movie by Monday, and still ahve 30 days afterwards to actually watch it. App works fine for me on my Roku and even on my Chromecast. This site really suks now. google tmobile and click on news. I just found an interesting article about a “downgrade” on tmobile stock from “firm” to “neutral” by wallstreet firm MoffettNathanson. I guess that’s why they were giving their stock away to us a few months ago. Has anyone heard of “indieflix”? How about a one year subscripton to investors business daily….for John Legere? That might help with his golden parachute when he sells us out to sprint.